The latter seasons of Bones are not as classic as the initial seasons. 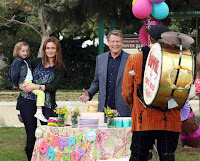 However, Bones does one thing absolutely right throughout all its seasons, up to the final one (this year). One problem that stalks later seasons of many shows is the need to CHANGE, SHOCK, DO SOMETHING DIFFERENT! I address some of the reasons for that panic here. Generally speaking, it can lead to over-the-top soap opera ridiculousness that makes one pine for the "simple" days when the show was still unself-conscious and fun. 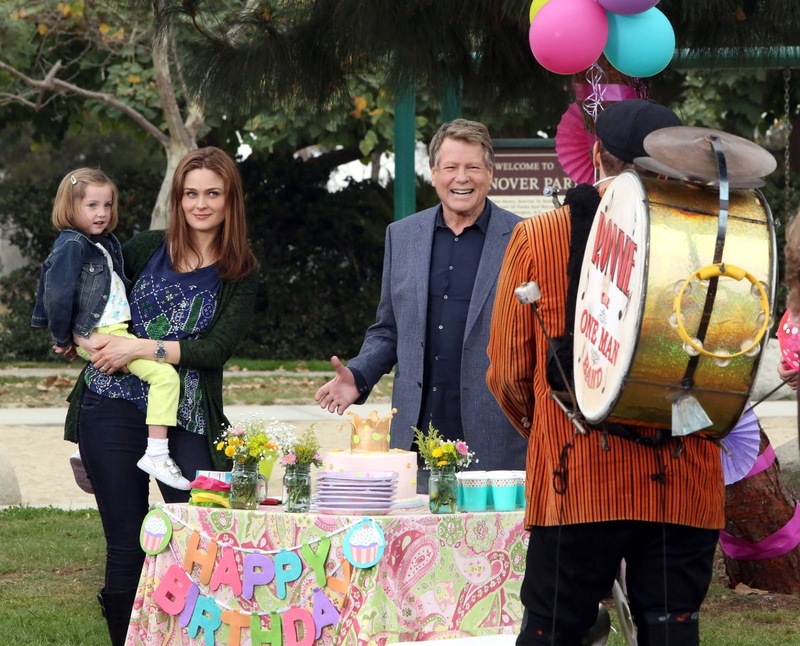 So, in one episode, Bones and Booth debate their daughter's birthday party. In another: the tooth fairy. Or whether or not their daughter bit someone. Or how they feel about their daughter selling cars (I LOVE how this episode ends: kudos, Brennan 😇). What is so fascinating is how interesting these sub-sub-sub-subplots can be. I actually want to find out if Angela's show runs. 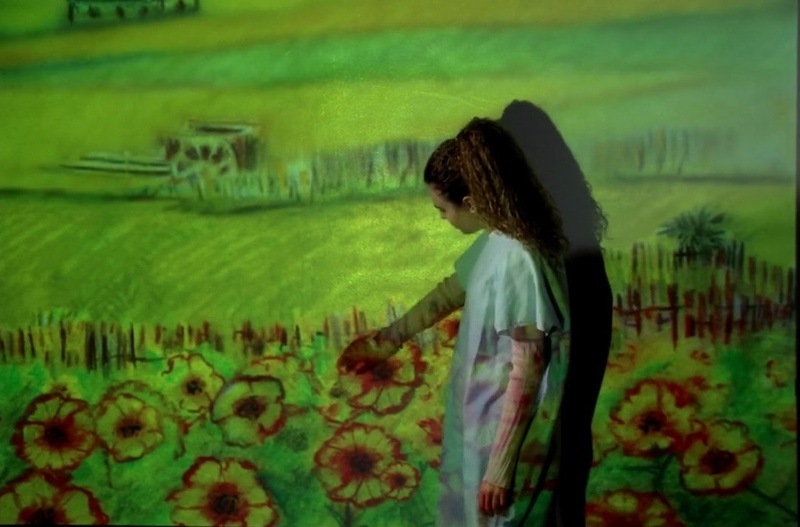 Van Gogh's Wheat Fields with flowers added. TANGENT: I do get annoyed at how the Bones' production crew solves Angela's artistic "genius." All her art is derived from famous iconic images that the viewer may or may not recognize--like the stairs from Psycho; I don't think the idea is that Angela is derivative; rather, we are supposed to have this "oh, that's good!" reaction because subconsciously, we recognize the iconic nature of her photos/paintings. It still bugs me--why can't they use someone's actual art? After all, "Castle" writes his own stuff. You can even get his books from the library! 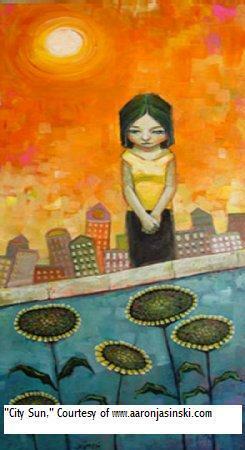 Nick from Family Ties got his own art. 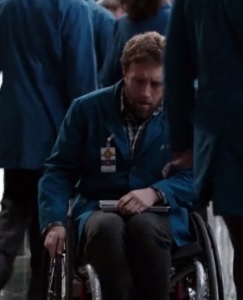 Returning to the point (making plot out of life) the less sub-sub-sub and more-plot of Hodgins in the wheelchair is strikingly well-written and gives T.J. Thyne, a respectable actor in his own right, a chance to shine his non-sweet-natured-Hodgins side (aside from being a jerk during the last 1/3rd of Season 11, Hodgins is possibly the best husband on all television). The ability to make interesting the ordinary, normal, unfortunately sad plus happy everyday is a true gift. The Bones' writers get close to capturing slice-of-life, an admirable ability!